Packing and moving can be tiring, but with the right tools the whole process can be made easier. Many people do not want to spend extra money in buying moving supplies. However, instead of reducing expenses, it can increase the costs in case of damage due to improper packing. Let us find out which packing supplies are important. Bubble wraps are extremely efficient in preventing damage to fragile, delicate items. They come in different sizes and are easy to use. For maximum protection, wrap your items with the bubble side facing inwards. Glass items are normally bubble-wrapped to prevent them from breaking. It is also fun to pop the bubbles after you have moved to your new house. You obviously need a packing paper to pack items. This is another method to wrap and pack your small delicate items like glassware and dishes. It is clean so you won’t have to do dishwashing after unpacking. Packing paper is cheap and less spacious than bubble wrap, so it can be effectively used to wrap things. You need lots of boxes to pack the remaining bigger items. Boxes are a really good option for packing books, pillows, cushions, canned goods and tools. Make sure you get a solid box which does not easily collapse. If you have more people you can use bigger boxes. However, if you are alone, you need to pack items in small boxes which are easier to carry. Utilize the empty spaces in the boxes by filling in with stuff that does not break like clothes, towels, etc. Use packing tape instead of duct tape. Do not use cheap tapes or else you might be packing again and again. When it comes to using tape, be generous. Apart from taping the middle part of the box, you should also apply tape on the sides to provide additional support. Putting tape in a cross style is an effective technique to secure the items inside the box. Although many people forget to label boxes with marking pens, you should not make this mistake. You can use masking tape for labeling the boxes. This technique can be useful to locate the boxes and place them in their correct positions. You can also use certain colors on boxes and advise the movers to place those colored boxes in their respective rooms. Scissors are probably one of the most important packing supplies. Without these little things, you would have quite difficulty in cutting sticky tapes and other stuff. 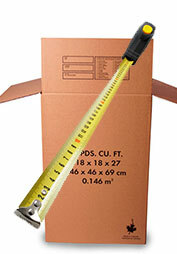 You can get a variety of packing supplies from us. Our company provides wide range of moving boxes, mattress bags, foam chips, wardrobe boxes, polyfoam wrap, special moving boxes, bubble cushioning, and tapes.